Untypically Horace Sykes has dated this muddy spectacle - May 15, 1950. 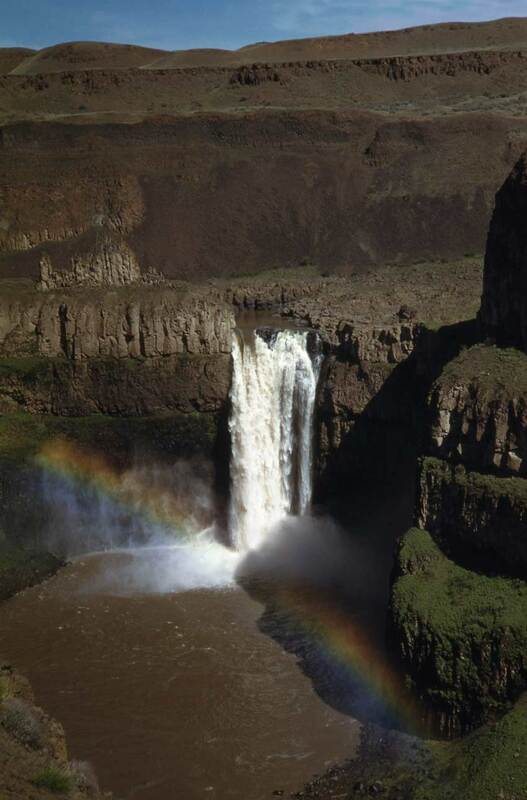 Here Sykes returned to form - he did not date this rainbow recording of Palouse Falls. Here, Paul, is the photo we never used. 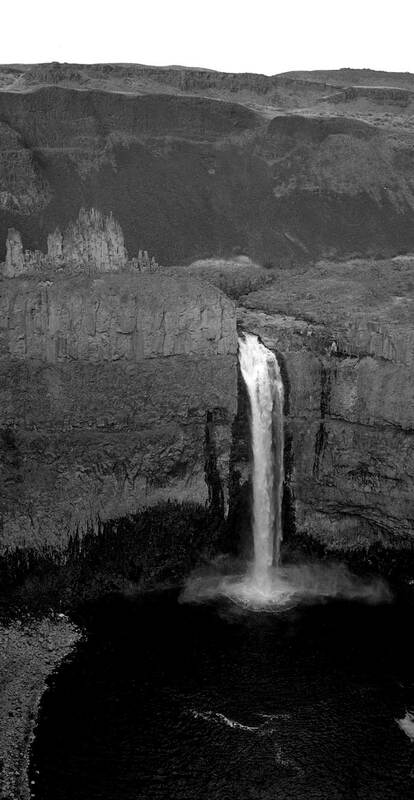 You’ll note the Falls on that day was mostly covered by shadow from the surrounding hills. I believe we reckoned that it would emerge seasonally from the darkness. This just dropped to my scanner from an envelope of negatives sent to me by Ardith Stark, daughter of the photographer Elmer Doty. She explains that "He always did photography." In part because he was also a professional and had gift stores that emphasized postcards and greeting cards. Elmer Arthur Doty came out of the small town of Latah, which is south of Spokane and north of the Palouse River. 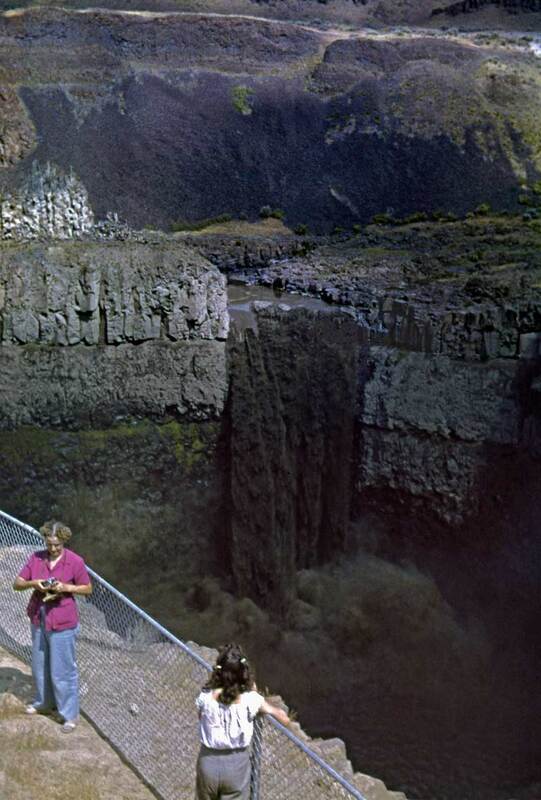 He would have felt at home here looking down at a Palouse Falls that looks pristine. 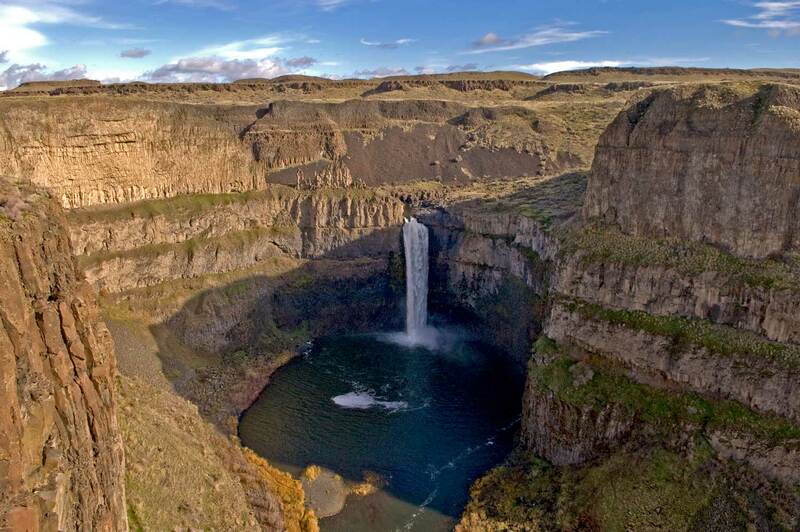 It is, perhaps, a time that is both dry and undisturbed in the fields of the Palouse.